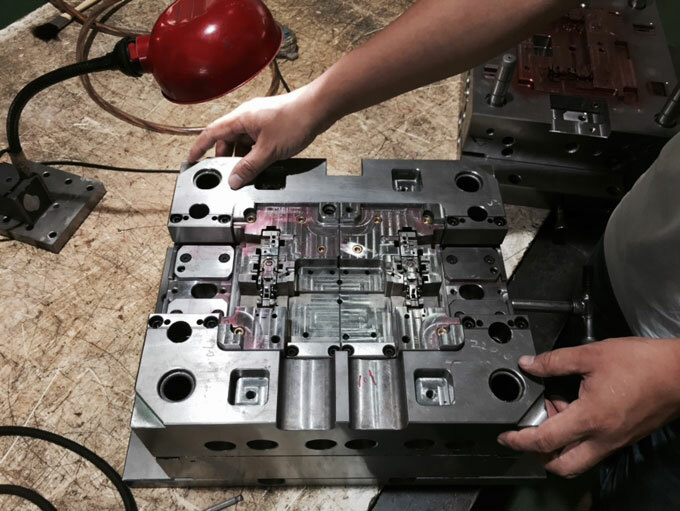 In the plastic injection moulding, there are many factors affecting the quality of plastic parts. However, after the plastic raw material, injection moulding machine and mould structure are determined, the selection and control of injection moulding process conditions is one of the key factors to ensure the smooth moulding and the quality of plastic parts. The most important technological conditions of injection moulding are temperature, pressure and moulding cycle. The temperature that needs to be controlled during injection moulding includes the temperature of material barrel, nozzle and mould. The barrel temperature and nozzle temperature mainly affect the plasticization of plastic and its fluidity. Mould temperature mainly affects the filling and cooling solidifying process. There are many factors affecting the selection of material barrel temperature, including the viscous flow temperature or melting point of plastic, the relative molecular weight and relative molecular weight distribution of plastic, the type of injection moulding machine, and the plastic parts and mould structure. The nozzle temperature is usually slightly lower than the maximum temperature of the barrel to prevent the "salivation" of the melt at the nozzle. However, the temperature should not be too low to prevent the plastic from solidifying in the nozzle and blocking the nozzle or injecting the coagulant into the cavity to affect the quality of the plastic parts. Although the nozzle temperature is low, but when the plastic melt passes through the narrow nozzle, it will generate frictional heat, which will increase the temperature of the melt entering the mould cavity. The selection of the temperature of the barrel and nozzle is related to other technological conditions, such as injection pressure, moulding cycle, high injection pressure, so the barrel temperature should be slightly lower. On the contrary, the barrel temperature should be higher. If the moulding cycle is long and the plastic is heated in the material cylinder for a long time, the temperature of material barrel should be slightly lower. If the moulding cycle is short, the barrel temperature should be higher. Mould temperature refers to the surface wall temperature of the mould cavity in contact with the plastic parts, which determines the feeding capacity of melt, the cooling speed of plastic parts and the internal and external quality of injection moulded parts. The choice of mould temperature is related to the plastic type, the shape and size of plastic parts and the requirements of use. For example, for crystalline plastics, slow cooling or medium-speed cooling is beneficial to crystallization, which can improve the density and crystallinity of plastic parts. If the strength and rigidity of plastic parts are large, the abrasion resistance will be good, but the toughness and elongation will be decreased, and the shrinkage rate will be also increased. If rapid cooling, the result will be opposite. For amorphous plastics, if the fluidity is good and the feeding capacity is strong, the method of rapid cooling is usually adopted, which can shorten the cooling time and improve the production efficiency. Mould temperature is generally controlled by a cooling or heating medium with a constant temperature. When the mould temperature control requirements are not strict, air cooling method can be used, so it can cool without any media. In some cases, the resistance wire and the resistance heating rod are used to heat the mould to maintain the constant temperature of the mould. The pressure of the injection moulding process includes plasticizing pressure and injection pressure. When using the screw type injection moulding machine, during the melting and plasticizing process of the plastic, the molten material is continuously moved to the front end of the barrel (measuring chamber), and more and more, gradually forming a pressure to push the screw backward. In order to prevent the screw from retreating too fast, to ensure uniform compaction of the melt, it is necessary to provide a reverse pressure to the screw. This reverse pressure that prevents the screw from retreating is called plasticizing pressure (also called back pressure). The plasticizing pressure is adjusted by a relief valve in the hydraulic system. The plasticizing pressure affects the plasticizing process, plasticizing effect and plasticizing ability of the plastic. Under the same conditions, increasing the plasticizing pressure will increase the uniformity of the melt temperature and temperature, and facilitate the uniform mixing of the coloring materials. It is also beneficial to exclude gases in the melt. However, the plasticizing pressure increases, which will lower the plasticizing rate and prolong the moulding cycle. In severe cases, the plastic will be degraded. Generally, under the premise of ensuring the quality of plastic parts, the lower the plasticizing pressure, the better, generally about 6 MPa, and usually rarely exceeds 20 MPa. Injection pressure refers to the pressure exerted by the plunger or the top of the screw on the plastic melt. Its function is to overcome the flow resistance during the filling process of the melt flow during injection, so that the melt has a certain filling rate. The melt is compacted to prevent from backflow after filling the cavity. The injection pressure depends on the type of injection moulding machine, the type of plastic, the mould structure, the mould temperature, the structure and size of the gating system, and the shape of the plastic part etc. In general, the injection pressure of plastics with high viscosity is higher than that of plastics with low viscosity. Plastic parts with thin walls, large areas and complicated shapes have high injection pressure. The injection pressure of plastic parts with simple structure and large gate size is low. The injection pressure of the plunger type injection moulding machine is greater than that of the screw type injection moulding machine. If the barrel temperature and the mould temperature are high, the injection pressure will be low. The injection moulding cycle refers to the time required to complete once injection moulding process, which includes all the time during the injection moulding process. The moulding cycle directly affects the production efficiency and equipment utilization rate. Injection time and cooling time are most important during the whole moulding cycle. They are not only the main components of the moulding cycle, but also have a decisive influence on the quality of plastic parts. The mould filling time is inversely proportional to the mould filling rate, and the mould filling rate is determined by the injection rate. 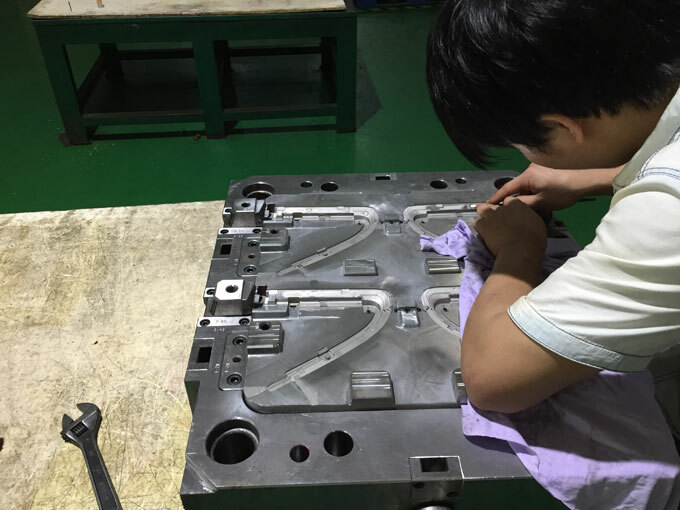 In order to ensure the quality of plastic parts, the mould filling rate should be controlled correctly. Rapid injection (high pressure injection) should be used for plastic parts with high melt viscosity, high vitrification temperature and fast cooling rate, glass fiber reinforced plastic parts and low foaming plastic parts. In production, the mould filling time generally does not exceed 10s.The time of pressure holding in the injection time, which accounts for the largest proportion in the whole injection time, is generally 20-120s (thick wall plastic parts can reach 5-10min). The length of the pressure holding time is determined by the structural size, material temperature, main runner and gate size of the plastic parts. Under normal process conditions and reasonable size of the main runner and gate, the optimal pressure holding time is usually the minimum time of shrinkage fluctuation range of plastic parts. The cooling time is mainly determined by the thickness of plastic parts, the mould temperature, the thermal performance of plastic and the crystallization performance. The length of cooling time should take that ensuring the moulds do not cause deformation as principle, generally about 30-120s.The cooling time is too long, which not only lengthens the moulding cycle and reduces the production efficiency, but also sometimes causes the difficulty of mould release for complex plastic parts. 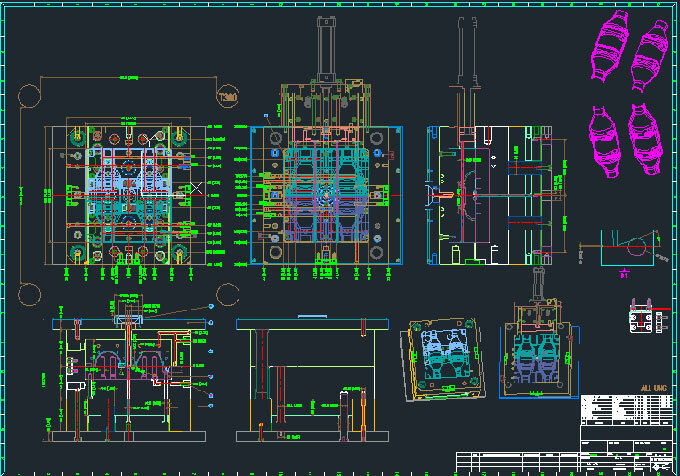 Other times of moulding cycle are related to the degree of production automation and the production organization management. These times should be minimized to shorten the moulding cycle and improve labor productivity.